Elite Shoreshield Outboard Marine Engine Boat Covers are made from a rugged and durable 600D marine grade polyester material. Elite waterproof boat engine covers are specially coated for long term UV protection, come with a adjustable draw string that helps to ensure a nice tight and secure fit. 6 different sizes are available and comes with a 2 year factory warranty, gray color. Elite Shoreshield Boat Seat Covers are made from a durable, heavy duty 600D marine grade polyester material. 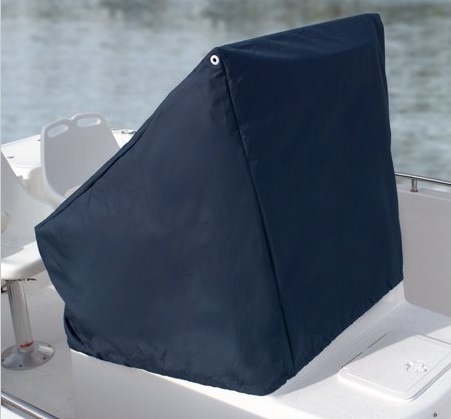 Elite boat seat covers are waterproof, specially made for long term sun and UV protection. 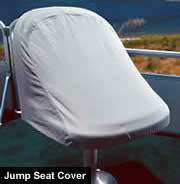 Elite boat seat covers will help to stop fading and cracking, from extended exposure outdoors. The material is breathable to help with release of condensation that may occur so no moisture gets trapped underneath. Fitted with a shock cord elastic hem to ensure a nice secure fit. Elite boat seat covers are great for short or long term use, they fold easily for storage when not in use. Available in either gray or white color, 2 year factory warranty. Elite Boat Center Console Covers are made from a durable, heavy duty waterproof 600D marine grade polyester material. The Elite boat center console waterproof cover is specially made for long term UV protection and the prevention of the harmful effects of sun. 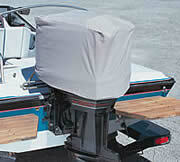 Elite boat console covers will prevent fading and cracking that occur from extended exposure to the sun. The are pre-installed grommets that allow for ventilation from any inside moisture that may occur. There is a drawstring hem to ensure a nice secure fit that is perfect for short or long term storage. Folds easily for storage when not in use, gray or navy blue color. 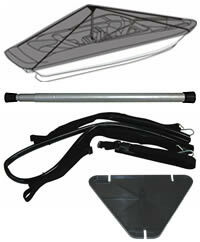 Boat cover support systems are designed to keep water, snow, leaves, etc from accumulating on your boat cover. Built from Strong aluminum tubing these support systems extend the life of the cover and your investment. Will fit most Boat applications up to 28 feel long. 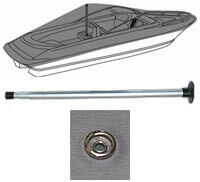 Elite Boat Cover Support Pole expands from 12" up to 54". Using these poles are essential while using a boat cover. Support Poles prevent water from pooling and helps stop dirt and and debris from settling on the cover. Pole extends from 12 in. to 54 in. Pole extends from 12 in. to 46 in.